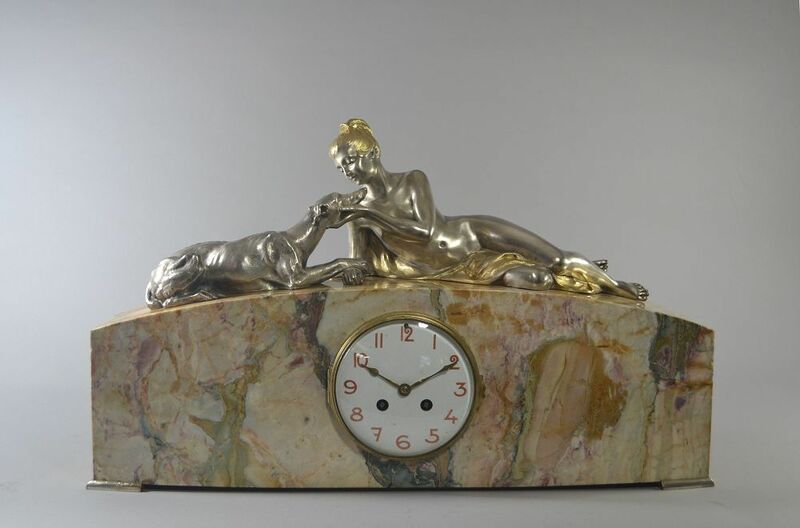 Art deco Clock. Georges LAVROFF. George Lavroff art deco clock. 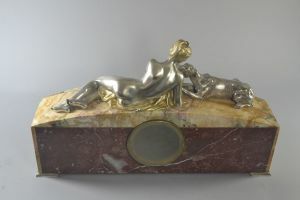 Unsigned but known to be by Russian sculptor George Lavroff. 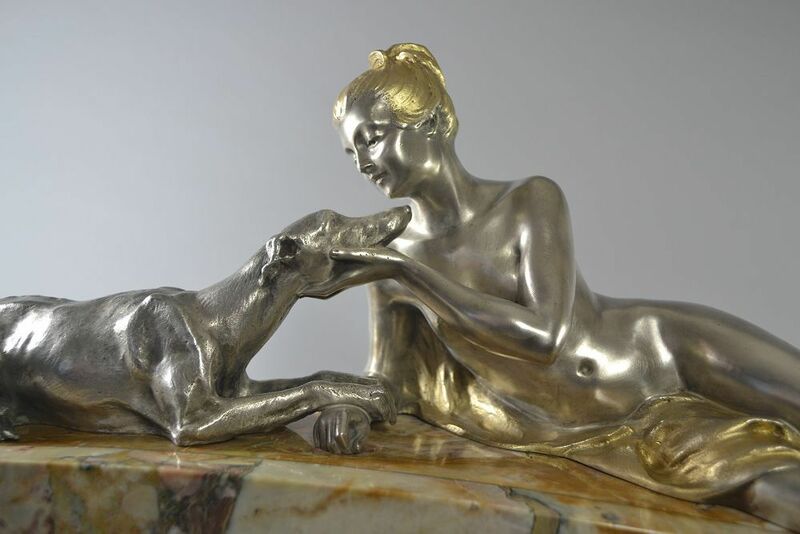 Lady and dog art both silver plated bronze. George Lavroff is born in Siberia on April 18, 1895. 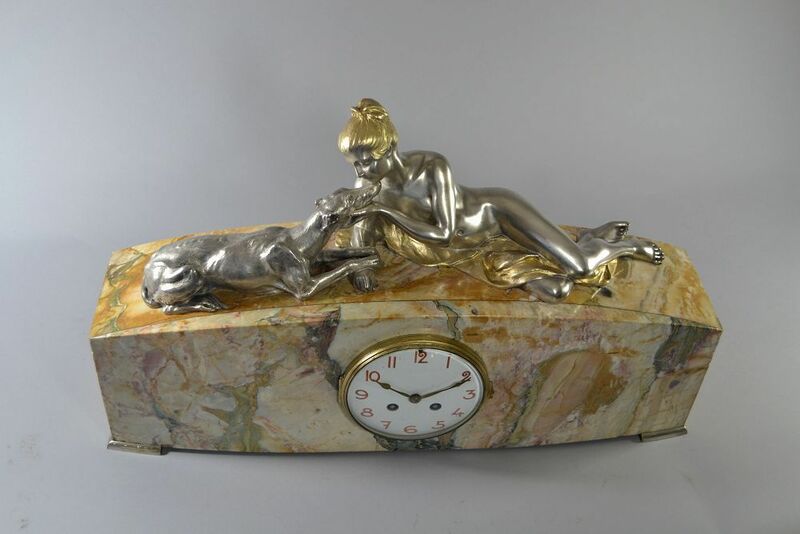 He first produces sculptures in Siberia, then in Moscow. In 1927, George Lavroff is sent to France where he creates many art déco animal sculptures, produced in bronze and ceramics by several art editors. These sculptures bring him fame in the Western world. In 1935, George Lavroff returns to Moscow where he becomes an official artist and creates monumental sculptures and busts of Soviet rulers. 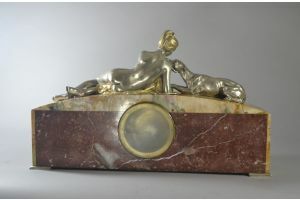 Sculptor George Lavroff dies on August 29, 1991.